The Brabham and Seton names will team up in a BMW run by two-time Great Race winner Tony Longhurst in February’s Liqui-Moly Bathurst 12 Hour. 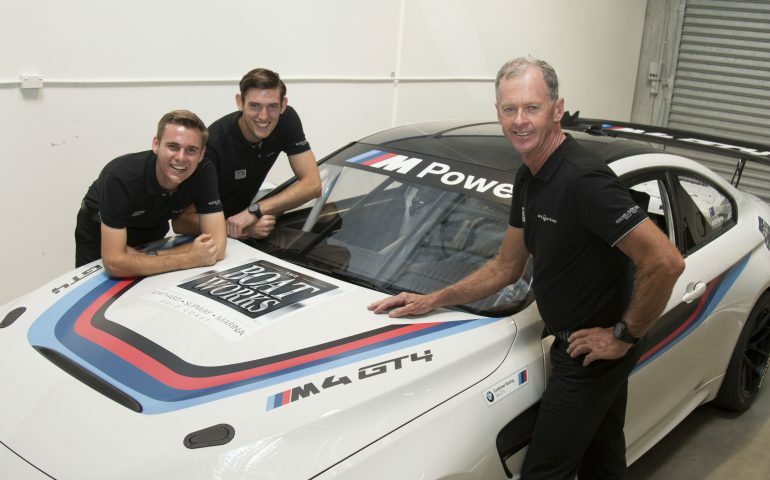 Matt Brabham, who made his Supercars debut in 2017 with Lucas Dumbrell Motorsport, and fellow third-generation driver Aaron Seton have been signed by Longhurst’s squad to drive a BMW M4 GT4. Longhurst is currently listed as the car’s third driver, but says he is “undecided about driving or not” and will wait to test the new M4 before making a call. Brabham’s grandfather, the legendary Sir Jack, won three Formula 1 world championships including the 1966 title with his eponymous squad. His father Geoff and uncle David won the Super Touring version of the Bathurst 1000 in 1997 after BMW team-mates Paul Morris and Craig Baird were disqualified for exceeding driving-time requirements. The youngest Brabham has spent the bulk of his career in the US, including making his Indy 500 debut in 2016, but contested Supercars’ Perth SuperSprint with LDM earlier this year. The February 2-4 event will be Brabham’s Bathurst debut. “I am looking forward to having my first outing at Mt Panorama and this is a terrific way to do it,” the 23-year-old said. “It is pretty cool to be heading to Bathurst with the group of people we have, given the history of all three families separately and together over the years. “Given dad’s history with BMW at Bathurst and professionally, it is also nice to be making my debut there with the German marque. Seton’s grandfather Bo won at Bathurst during its days as a 500-mile race, while success at Mount Panorama famously eluded his father Glenn, the 1997 Supercars champion. The 19-year-old Seton has two 12 Hour starts to his name, along with experience in V8 Touring Cars, the Toyota 86 Racing Series and Porsche GT3 Cup Challenge. Working for Shell V-Power Racing as an apprentice mechanic, Seton drove the FG X Falcon used as a reference vehicle in this month’s ZB Commodore homologation tests. “The Seton family has a little bit of unfinished business at Bathurst and it would be nice to get a solid result in the Boat Works BMW GT4 in February,” said Seton. “Any time you can get to do laps of Mt Panorama is great, but to be going there with a brand new BMW GT4 with the support of someone like Tony is pretty special. “It is also cool to have the Brabham, Seton and Longhurst names together. “I have known Matt for a long time and he has built some strong international experience which I am sure will be extremely valuable for the team. Supercars star Chaz Mostert is among the drivers in BMW’s outright 12 Hour program with the M6 GT3, teaming up with DTM stars Marco Wittmann and Augusto Farfus. A second factory-backed M6 will be raced by four-time Bathurst 1000 winner Steven Richards, ex-Formula 1 driver Timo Glock and Philipp Eng.